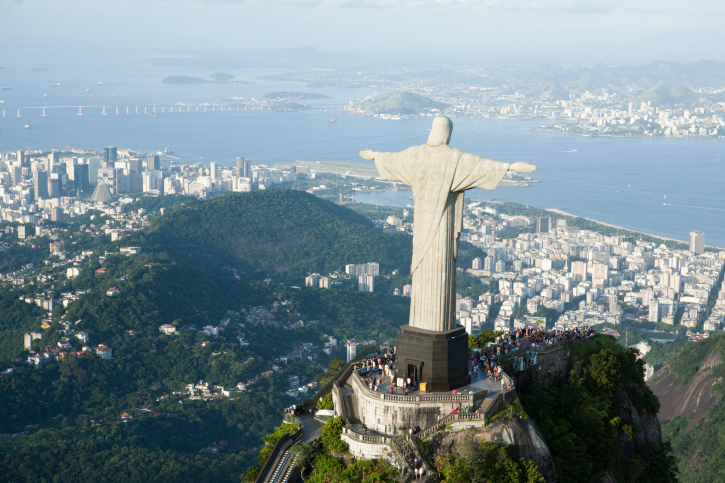 As the countdown to the World Cup 2014 begins, all eyes are on Brazil — the exotic, diverse, and edgy South American nation. In the land where soccer has assumed religious status and legendary players such as Pelé and Romario’s rank are elevated to Brazil’s pantheon of saints, the first World Cup to be held in Brazil in 64 years promises to be a mind blowing event, both on and off the pitch. Despite some rather unfortunate PR issues — stadium glitches, runaway budgets (we are talking $3.5 billion in the pot for 12 new of gussied up stadiums), and more than the odd tear gas marred protest — Brazil’s trademark passion and unbridled sensuality remains unsurpassable. From the beaches and mountains of Rio, to the cosmopolitan verve of São Paulo, the cowboy town of Porto Alegre, and the gold towns of Minas Gerais, Brazil’s host cities are fluffing their feathers for one hell of a samba party. In part one of our host city rundown, we focus on the iconic metropolises and natural wonders of the south. One of the world’s most fabled cities, Rio de Janeiro, the cidade maravilhosa (marvelous city) is an exotic playground of stunning natural beauty. Few cities on earth can boast a lake framed by black chiseled mountains, shimmering white sand beaches immortalized in Bossa Nova melodies, virgin Atlantic rainforest, timeless colonial villages, and, well, the biggest favela on the continent. You can take the cable car to the granite monolith that is Sugar Loaf Mountain or board the rickety train to the summit of Mount Corcovado (2,329 feet) where the iconic Christ the Redeemer statue — the largest Art Deco statue in the world — arms outstretched, casts his gaze upon the natural wonders below. The famed beaches of Ipanema and Copacabana also need no introduction. While Copacabana’s glamorous 1960s allure has certainly faded, its two-and-a-half mile swath of dazzling white sand beach flanked by skyscrapers remains one of the world’s most iconic vistas. Ipanema invites indulgence at every turn, from sun worshipping to unbridled shopping — a Brazilian marriage made in heaven. A colossal city and home to some 21 million Paulistas, S?o Paulo is the quintessential urban jungle. 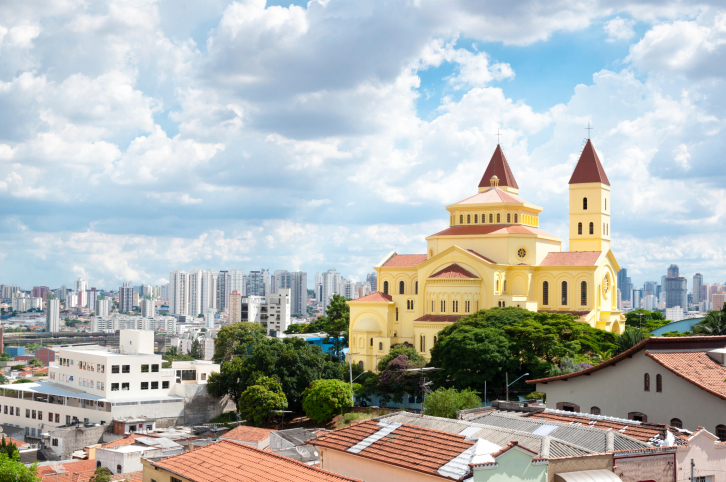 The skyscrapers of South America’s largest city soar skyward with the cut, thrust, and ingenuity that has transformed the former 16th-century Jesuit mission into the continent’s economic powerhouse. While S?o Paulo is far from a natural beauty, its a place of tremendous cultural prestige with a rich panoply of world class museums, art galleries, theaters, and restaurants invite superlatives at every turn. Without a doubt, S?o Paulo is the country’s gastronomic capital with some of the world’s finest nova cozinha brasiliera (new wave Brazilian cooking) or ‘bossa nova cuisine’ as the local press like to quip; Alex Atala’s D.O.M. consistently ranks as one of the world’s best restaurants. Further afield, the coastline is simply stunning with secluded beaches bearing such evocative names as Ilhabela and Ubatuba. Capital of the southeastern boom state of Minas Gerais, no-nonsense Belo Horizonte is Brazil’s third most powerful economy. Surrounded by serrated mountains and undulating hillsides carpeted with coffee plantations, Belo Horizonte’s was Brazil’s first planned city. It’s certainly a pleasant enough city to explore with lively bars and cafés, tree-lined thoroughfares, lush parks, kaleidoscopic markets, and seminal modernist architecture. Minas Gerais’ unassuming and warm culture is embodied in the deliciously simple mineiro cuisine — hunks of beef, pork, and chicken laced with piquant spices — that defines most restaurant menus. Belo Horizonte’s Estadio Mineirão (set to host six World Cup games) is one of the region’s most venerated attractions. The smallest of the host cities, the unpretentious cowboy town of Cuiabá is the capital of Mato Grosso. While the city itself is hardly loaded with must-see attractions, Cuibá is the gateway for the Pantanal, the world’s largest tropical wetlands on Brazil’s western flanks. One of the most biodiverse places on the planet, the Pantanal’s fragile ecosystem is home to over 1,000 bird species, 480 reptile species, 400 fish species, and more than 300 mammals, including herds of the capybara (the world’s largest rodent) and the elusive jaguar. Within 80 miles of the city you can relax in thermal waters or take a snorkeling, rafting, or rappelling trip. North of the Pantanal, the breathtaking Parque Nacional da Chapada dos Guimarães is an otherworldly landscape of kaleidoscopic, sandstone rock formations and plunging waterfalls that remain under the tourist radar. 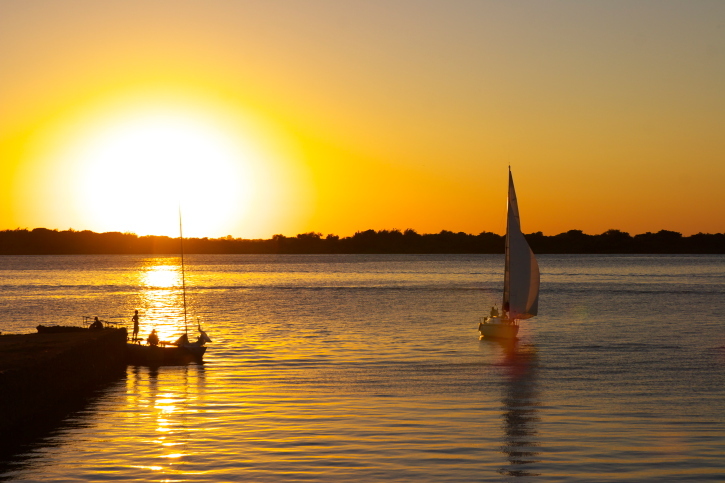 Capital of the state of Rio Grande do Sul, Porto Alegre is a dynamic, thrusting port city overlooking the Guaíba River. 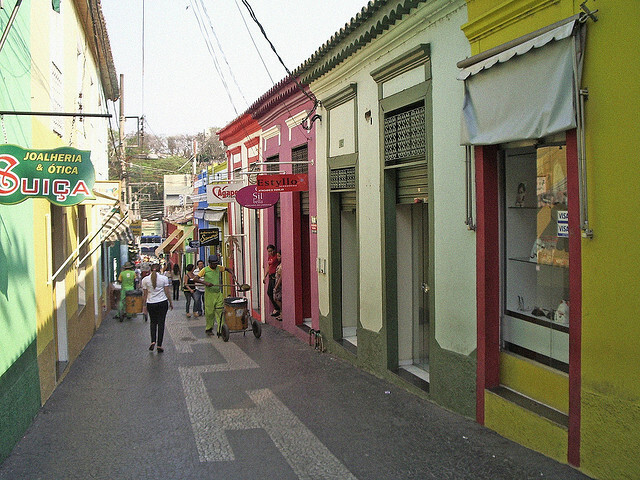 An urban cowboy with a philosopher’s soul, Porto Alegre feels more Argentinian than Brazilian. In the city’s bohemian bars, microbreweries, or traditional botecos, you’ll find locals donning their traditional gaucho attire and putting the world to rights over espresso or local Coruja beer (deemed one of the best beers in the country) along with caffeine-rich yerba maté. The newly buffed, neoclassical Centro Histórico is a pleasant to place to stroll, with a clutch of museums, art centers, and galleries. For unadorned, monster slabs of beef or pork, you can head to any number of local churrascarias (steak houses) while the city’s more international, upscale neighborhoods feature everything from gourmet pizza to tapas, über fresh sushi, or Chinese. Within easy reach, Gramado and Canela are two mountain resorts that offer outdoor adventures of every ilk, from hiking to horseback riding, rappelling to cycling, and even kayaking. 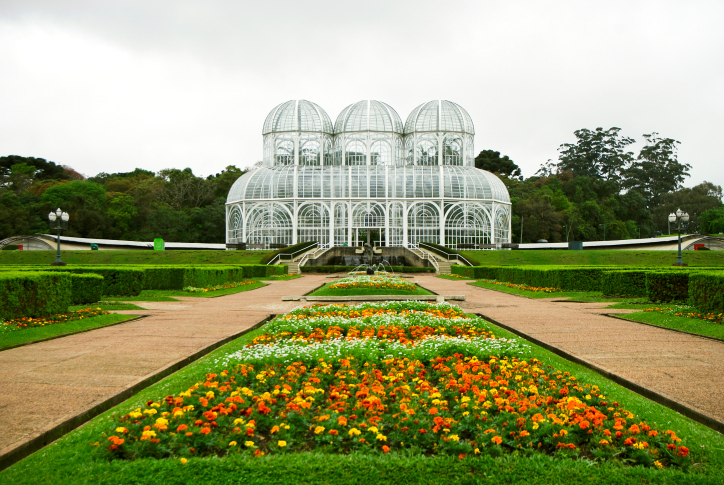 A model of sustainability and efficiency, Curitiba is a place that bears a more human imprint. In the 1970s, then-mayor Cassio Taniguchi proved himself ahead of the game when he announced to the world a bold vision that would transform Curitiba into a futuristic, sustainable city that would embody the Brazilian national motto: Ordem e Progresso. The result is fascinating to behold. 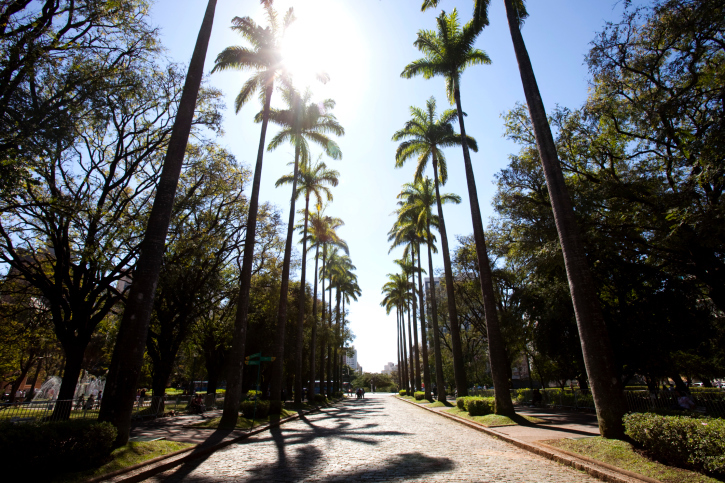 With an extensive and highly economical public transportation system, recycling programs, sustainable design, cycling lanes, and monumental green spaces (including an expansive botanical garden and more than 30 parks), Curitiba’s denizens enjoy a lifestyle and GDP that far exceeds the Brazilian average. There’s a vigor and cultural gravitas to the city’s historical enclave which comes to life with colorful food markets and amiable bars populated with unpretentious locals. One of the world’s best train journeys, the Serra Verde Express departs from Curitiba, traversing canyons and plunging through rainforest before reaching the colonial town of Morretes.